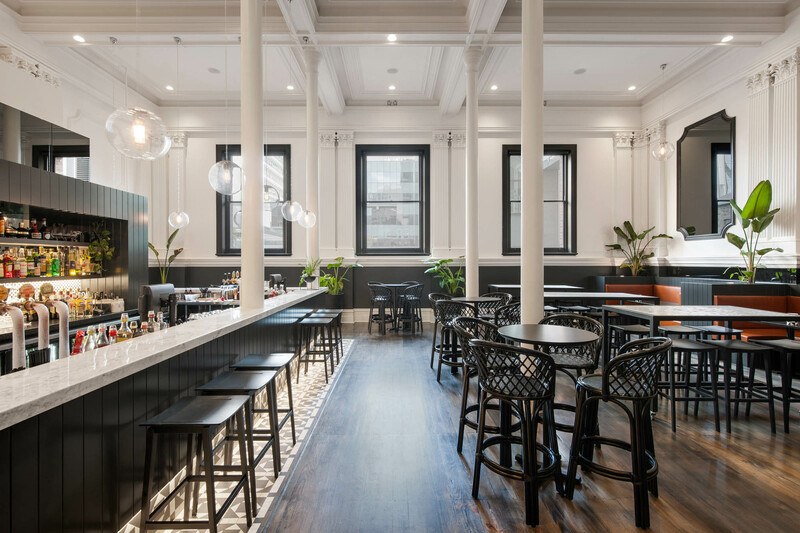 Electra House has received a $10 million transformation as part of Adelaide's King William Street redevelopment. 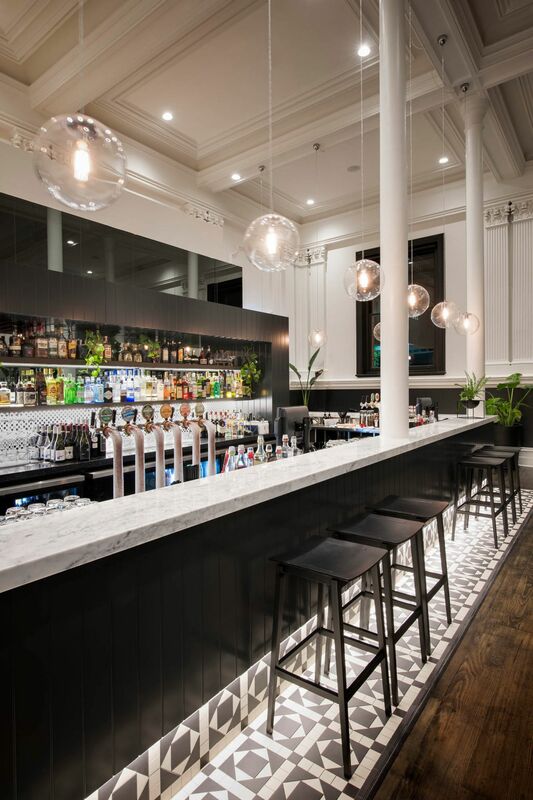 The exquisite restoration has brought a new lease of life to the three-storey site which has remained in a dormant state for the past 20 years. Designed by Studio 9 Architects with the assistance of interior designer Danielle Elia, the 700 person capacity venue features a unique experience on each floor. The ground level of Electra House is home to the Electra Bar and one of Adelaide's largest beer gardens. The area is defined by feature timber decking, marble bars, and a multitude of bespoke seating. 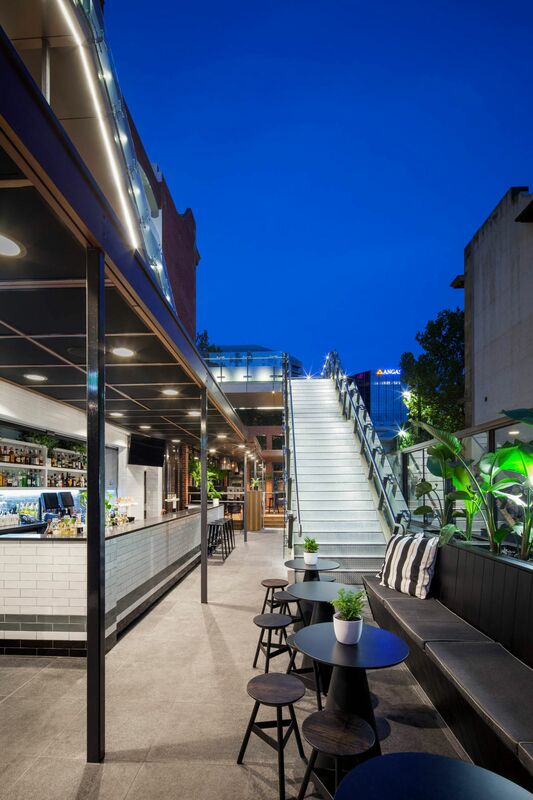 The Electra Bar connects to the upper levels via a newly constructed external staircase made of seven tonnes of steel, glass, and aluminium composite panels. 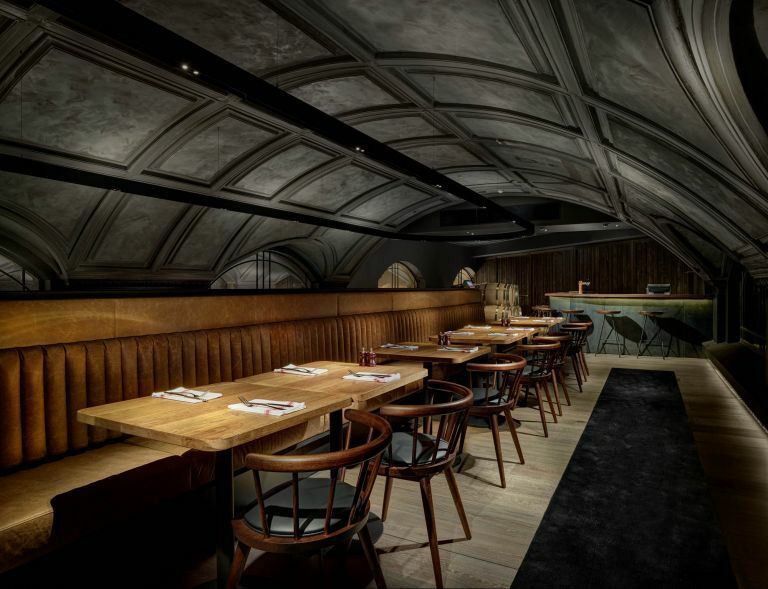 OLEA, a modern Greek restaurant, occupies the first floor where white on blonde timber sets the aesthetic atmosphere. The floor also has its own outdoor terrace, commercial kitchen, and private function space. 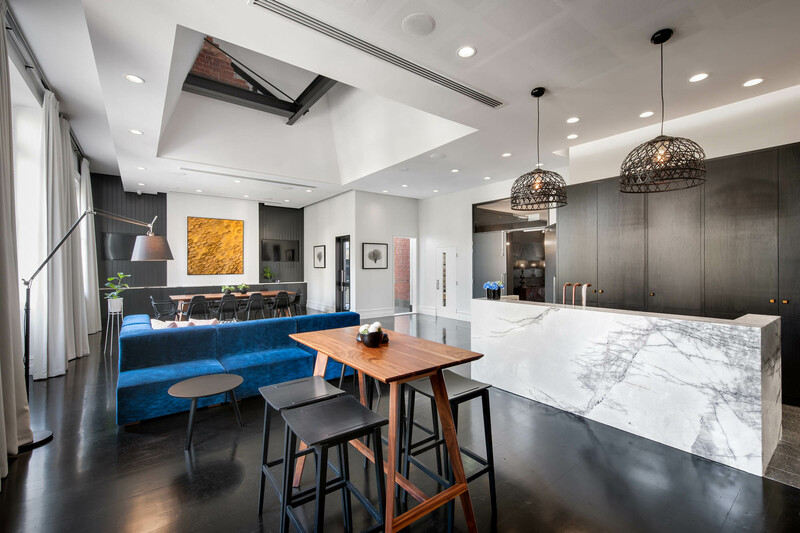 Each area takes inspiration from New York's West Side and East Side with exposed original brickwork and steelwork within the eight-meter-high mansard roof. The layout is completed with office and storage space in an exposed brick basement. 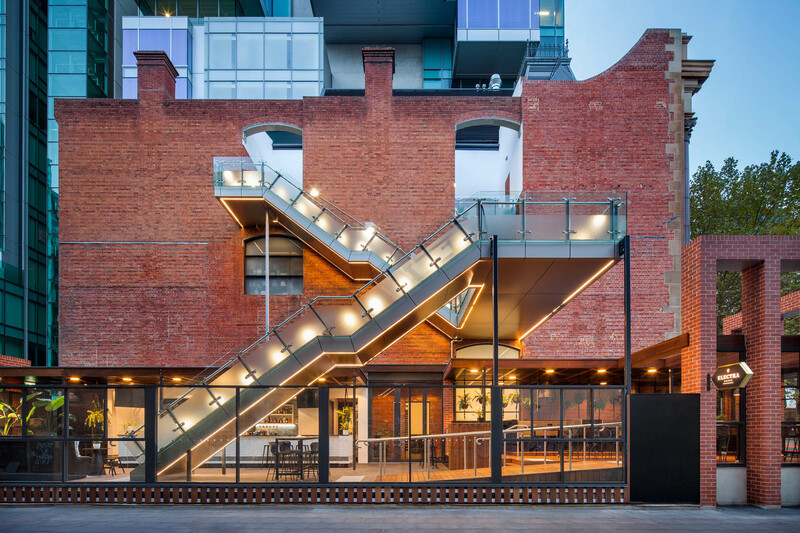 "Being heritage listed, the entire building first needed to be structurally reengineered and reinforced," says Petar Vukjajlovic, Senior Project Manager Schiavello Construction SA. The building also maintains many of its original fixtures including external Corinthian columns, six-meter-high ceilings with stepped cornices, ornate pillars, heritage wall panelling, tessellated tiles, and timber ceilings and balustrades - both of which were restored to original conditions within the internal stairwell. 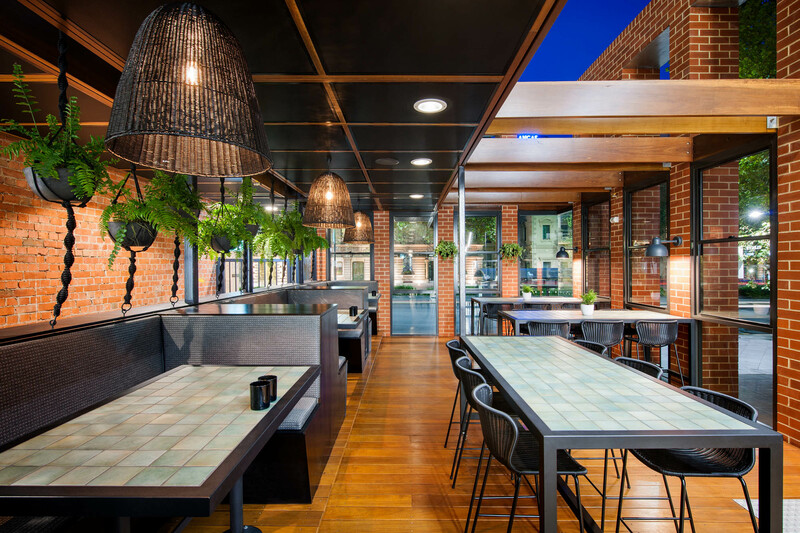 Schiavello Construction SA worked closely with Heritage SA to overcome infrastructure concerns, including ventilation issues that arose with the late addition of a charcoal kitchen on level two. "Reticulating ductwork and exhausting fumes required significant planning, design, structural suspension, and coordination," says Petar. The basement was also the source of significant challenges after a nearby tower development pushed the water table out leading to flooding. Schiavello Construction worked closely with the architects and engineers to find a solution where additional drain pipe works and a pump station were added. New lifts, building services, and a roof plant room were also added to the site. "To be able to work on a heritage building alongside professionals such as Studio 9 and Schiavello Construction ensured the usual roadblocks - which appear on any building site - were dealt with professionally and efficiently," says Mr Elia. Sean's Kitchen provides a layered journey of discovery to New York's bygone era of lavish surrounds, finest produce, and artisan beverages. 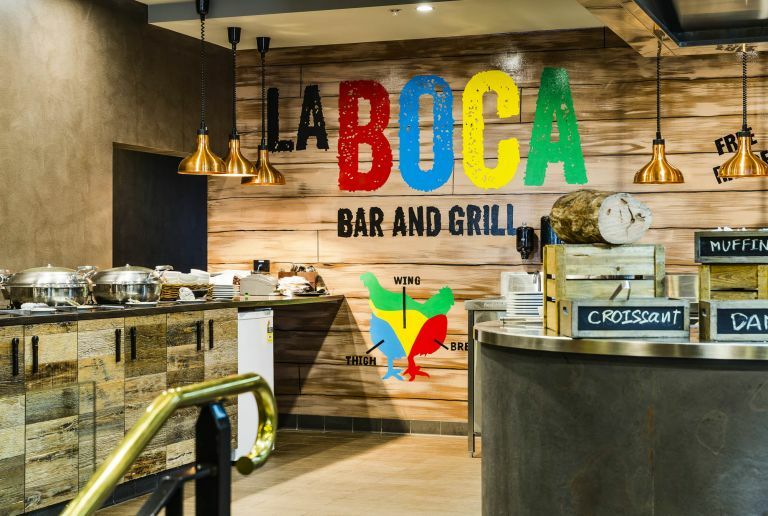 Rustic meets vibrant South American style in this 600sqm restaurant which also acts as the Stamford Plaza's buffet breakfast space.